The era of foldable smartphones as begun. Samsung and Huawei showed off their foldable phones last month. Apple is also reportedly interested in foldable smartphones. Other vendors such as Oppo and Xiaomi have teased prototypes of their foldable devices. Google doesn’t want to be left behind. 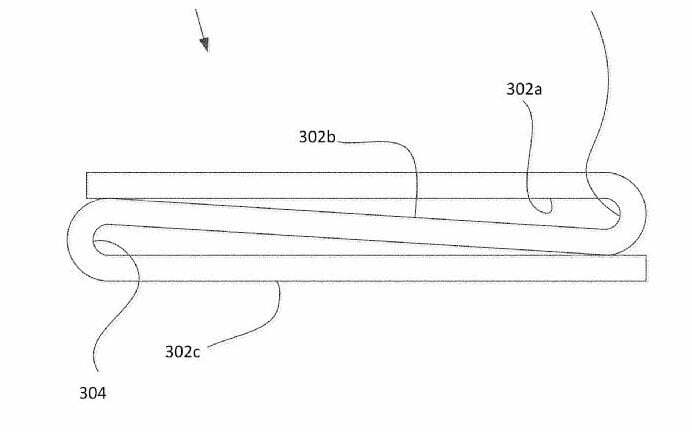 A newly discovered patent indicates that the search engine giant is toying with the idea of a foldable phone with Z-fold displays. The patent application was published by the US Patent & Trademark Office (USPTO) on December 13, 2018. It was first discovered by folks at PatentlyMobile. Titled Foldable display neutral axis management with thin, high modulus layers, the patent describes a dual folding “modern computing device.” Unlike Samsung Galaxy Fold which folds in the middle, the drawings in Google’s patent show off a display that folds at two places in ‘Z’ fashion. According to patent documents, the foldable display “includes a back stiffening layer, a transparent frontplate layer, a transparent cover window layer, and an OLED display layer disposed between the back stiffening layer and the transparent frontplate layer.” The patent describes two different methods of folding. In the first method, the device folds like a book or wallet, similar to Samsung’s Galaxy Fold. As you can see in the image above, the Z-fold design leads to a noticeable gap between panels at the points were the screen bends. However, the folding is aligned such that the overall form factor of the folded phone looks uniform. It’s worth pointing out that Google doesn’t mention ‘phone’ in its patent filing. Instead, it’s using “modern computing devices,” which means the technology could be used in phones, tablets, or even laptops. Will Google built a foldable phone? The patent filing is quite intriguing. Google sells Pixel-branded smartphones, but outsources manufacturing to third-party vendors such as LG Electronics, Foxconn, and HTC. 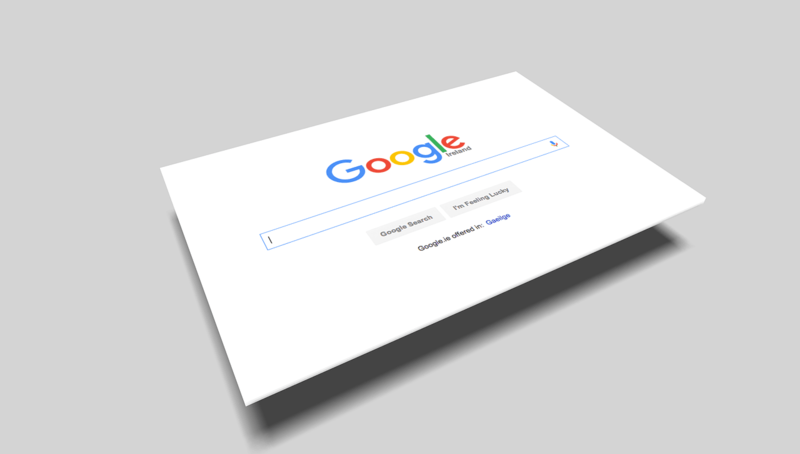 The search engine giant doesn’t make displays for its phones. If the company ever makes a foldable phone using this patent, it will likely license the technology to third-party vendors rather than producing the foldable screens itself. The patent application does suggest that Google is flirting with the idea of foldable phones. But it’s no guarantee that we will see a device with Z-fold design in the near future. It’s possible that Google is serious about the foldable phone technology. It has added support for foldable screens in the Android Q beta release, allowing developers to optimize their apps for foldable screens. It has also worked with Samsung to optimize the software for the Galaxy Fold. The foldable display technology could influence the future of Android. So, it’s no surprise to see Google interested in the technology. Foldable smartphones at this point are more of a curiosity, and they have a lot to prove. Only time will tell whether they can survive dozens of folds every day for years. Samsung claims its Galaxy Fold can withstand up to 200,000 folds. Corning, the company behind Gorilla Glass, is making a glass screen that is said to be more durable than the plastic used in existing foldable phones. The Samsung Galaxy Fold costs close to $2,000, which is much higher than premium smartphones like iPhones and Galaxy S series. The higher price of Galaxy Fold can be attributed to difficulties in manufacturing the foldable Infinity Flex display. Motorola is also working on a foldable version of its Razr phone, but it is said to work like a flip phone. The prices are expected to come down in the future.